How To Choose a cleaning company and the proper carpet. Choosing a cleaning company and the proper carpet is not easy. Why? Because you are bombarded with misleading advertising, confusing claims, and simply bad information. From super-low prices and high-pressure sales–to unqualified technicians and near worthless methods–how do you ever find a qualified, competent, professional carpet cleaner? You start by reading this special report. In this fact-filled report, you will discover how to avoid four carpet cleaning rip-offs and 5 mistakes to avoid when choosing a carpet cleaner. You will also find information about how to choose carpet that will save you thousands of dollars. This report will give you better understanding of the importance carpet cleaning, not just for appearance, but to insure your family’s health as well. You’ll now be able to make more informed, intelligent decisions. Check references and find out which other companies use their service. Also check with the Better Business Bureau to see if they have any unresolved complaints. 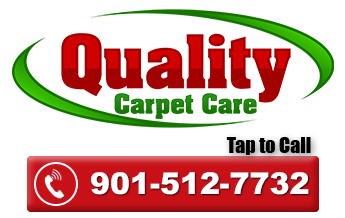 Quality Carpet Care is recommended by some of the finest flooring retailers and contractors in the Memphis area. We have a perfect record with the Better Business Bureau in great standing. Sadly, many cleaning company have never been formally educated or training in the field they are working in. State laws do not require a certification before a liscense is given. Therefore, it is up to the homeowner to make sure they are hiring a training professional. It doesn’t matter if they company has 20 years of experience if it is 20 years of untrained experience. Quality Carpet Care is trained by the standards set by the IICRC (Institute of Inspection Cleaning Restoration Certification) in the areas of carpet cleaning, upholstery, fine rug cleaning, deodorization, water damage restoration. We have seen every type of clean-up condition in the 10 years we have been in business. Are cleaning systems are the most state-of-the-art in the industry. We employ the best equipment and cleaning solutions to give you the most thorough cleaning. Our guarantees are the best in the Memphis area. Click here to see our guarantees. #2: What is the Best Carpet For You? The right carpet for you depends on the type of soil, amount of traffic, and who the occupants are in your home. Stain resistance means that a carpet will not stain easily, but staining is still possible. Wear ability is judged by how durable the fiber is. A petroleum based plastic fiber that repels liquids and stains very well. Olefin has a stain resist property that other fibers don’t have. The fiber is solution dyed, which means it will hold it’s color and therefore is more stain resistant than any other fiber. While it still has the possibility of staining, even kool-aid, bleach, and ink can be removed more easily. However, the durability is lacking, which means that it won’t stand up as well to very heavy traffic. Furniture indentations are difficult to remove after furniture is moved around. Light colors of olefin will appear scratched when it begins to show wear. Also, due to the petroleum base, olefin will attract oils and cause lighter colors to appear dirty fast. Indoor/outdoor carpet and is always superb in a sunroom. Homes with kids that spill kool-aid and use markers on the carpet. May not be ideal if you have pets. The oils will absorb quickly in the fiber. Not ideal for very high traffic areas. Avoid light colors. Darker colors are recommended. Often an alternative to nylon due to it’s economical price. Polyester has great stain resist qualities, almost equal to olefin. However, it does mat down more so than nylon. Furniture indentations are difficult to remove after furniture is moved around. Homes where you anticipate replacing the carpet within a shorter amount of time. For better wear ability, get at least a 60-70 ounce weight. In many situations nylon may be the best value for your dollar. It has great stain resist properties and great wear ability. However, stay away form a thin density of nylon. A minimum of 42 ounce weight is recommended with a high twist in the fiber. The nylon fiber will hold up to traffic very well, however it is susceptible to red dyes (such as kool-aid) and bleaches. Consider purchasing solution dyed or continuous filament nylon for your top of the line nylon fiber. Homes or businesses with a lot of traffic. Avoid spilling red dyes (such as kool-aid) or bleaches. The most durable and most luxurious fiber. Most oriental rugs are made of wool and last for 100 years or more. Wool is easily stained and is very vulnerable to bleach. Area rugs or homes that are kept very clean. Wool stains very easily. Perform spot removal right away after a spill. Frieze (aka Cut Berber): This style appears like a short shag carpet. The nylon frieze is one of the best carpets to stand up to high traffic. This carpet is one of my top picks as long as the weight is at least 45 ounces. Plush: This is a style that appears plush on the surface. It looks very luxurious. However, make sure the carpet has a high heat set and twist or it will appear worn within a few years. Kid Proof: Usually an olefin carpet that will hold up well to most anything a kid will spill. However, light colors are not recommended. Get at least a 60 ounce fiber. Commercial: Normally the looped commercial carpets will last longer. Nylon commercial is more durable. In playrooms, sunrooms, or very high traffic areas of a home, commercial carpet is a good choice if the appearance is acceptable. Berber: Berber is a looped style of carpet that has gained popularity in recent years. Although berber can be made of nylon or wool, most berber is made of olefin. If you buy a berber, make sure it is a high quality carpet. A darker color is preferable. The loops of berber may unravel at doorways and at seams. Seaming can often be very visible with berber. If you have pets that scratch on your carpet, avoid berber. Light colors of berber are notorious for returning spots after cleaning. Please note: On any fiber or style you choose, a darker color of fiber will keep a better appearance longer. What weight of carpet is best? The higher the better. The weight should be at least 42 ounces for nylon and at least 60 ounces for olefin and polyester. Don’t be fooled into thinking that the weight of the carpet is all that matters. If you get an 80 ounce carpet with a poor twist, your carpet will still appear worn after a few years. The wear ability also depends on how well the fiber was twisted. This can often be judged by looking closely at the particular fiber and attempting to untwist the individual strand. If it twists back quickly, it has a good twist. Try the twist test on a cheaper carpet and then a more expensive carpet and you’ll see what I mean. Do you guarantee your installation job? For how long? Will your installers power stretch my carpet? Will they “butter” or seal the seams? Without power stretching and proper seaming, you may get a bad installation. What exactly does the warranty include and exclude? Can I get this in writing? What is the weight of the carpet? A higher face weight means more yarn, which means longer wearing carpet. How high is the twist rating? Shaw Industries will replace a percentage of your carpet cost for up to 10 years. At nine years, they would pay 20%. They will only cover “manufacturing defect in the material or workmanship.” In other words, the warranty does not cover normal wear. Most warranties exclude any pet contamination as well as pile distortion from wear. So, it is up to you to keep your carpet in good appearance. Be aware that some manufacturers require a yearly professional carpet cleaning to keep the warranty valid. If you get a carpet with a 20 year warranty, maintenance is still required. Vacuum a minimum of once per week. Areas that receive excessive amounts of soil should be vacuumed daily. Clean up spots and spills immediately. The longer it sits in the carpet, the more likely it is to become a stain. Keep substances that can damage and stain carpet away from carpeted areas. (Kool-aid, Ink, acne medication, strong chemicals such as bleach, pet urine, etc) These items will cause permanent stains if not removed immediately. Use walk off mats at each door. It is helpful to have one inside as well as outside if possible. This can remove up to 95% of soil before entering. Have your carpet professionally cleaned at least every 12 months. Light colored carpets or homes with pets and children require more frequent cleaning. What does Scotchgard REALLY do? When should you have Scotchgard applied? When your carpet was new, it had a coating of a flourochemical protector. Scotchgard is the most widely known brand name of flourochemical protector, but there are many more brands that perform just as well. This coat of protection is removed with vacuuming, cleaning, and foot traffic. By the time your carpet reaches five years, it has very little protection left in it. In some cases, the protection decreases more rapidly. Re-applying the protectant will help add some protection back into the carpet, however it will never be as protected as it was when it was new. You should have the protectant reapplied at least every two years. Will fabric protection make your carpet or upholstery stain proof? No. What it will do is put a coat of protection around the carpet fiber to protect from staining and wear. This will minimize the amount of harmful dry soil and liquid bonding to the fiber. If you spill something on your carpet, it will not magically disappear. It will just be easier to remove. Even with fabric protection, some stains can still be permanent. You should be able to remove most spots yourself once a protector has been applied. If you can’t remove it, call me immediately. What benefits will you get from fabric protection? Vacuuming will be more efficient because dirt won’t stick to the fibers as well. Your spot removal procedures will be more effective (if you are using the proper tools). The next time your carpet is cleaned, stubborn spots will be more readily removed. Beautiful Appearance. You can make your carpet look good longer with frequent cleaning and vacuuming. Longer Lasting Carpet. If you follow manufacturers recommendations, your carpet can last up to twice as long as it would if you never had it cleaned. Healthier Home. Your home will be kept clean and healthy. Most of the contaminants in your home fall into the carpet due to gravity. Premium Carpet Care cleans at temperatures over 150 degrees to reduce dust mites, allergens, and bacteria. I hope you gained some useful information on how to care for and purchase carpet.